Get ready for the award winning, goofy guessing game of "What am I?" 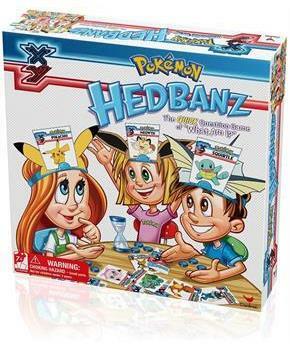 with Hedbanz Pokemon edition! Comes with everything kids need for non-stop fun Including Hedbanz rule sheet, cards, chips, headbands and sand-clock timer. Be the first player to guess what you are and win! Includes 60 character cards, 24 scoring Chips, 6 headbands, 6 headband toppers, timer and instructions. Get ready for the award winning, goofy guessing game of "What am I?" 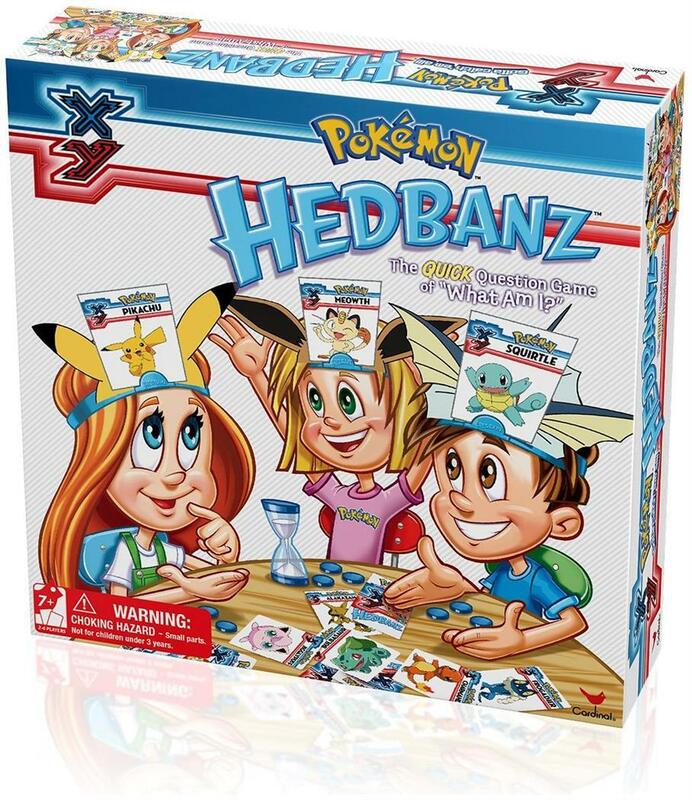 with Hedbanz Pokemon edition! Comes with everything kids need for non-stop fun Including Hedbanz rule sheet, cards, chips, headbands and sand-clock timer. Be the first player to guess what you are and win! Includes 60 character cards, 24 scoring Chips, 6 headbands, 6 headband toppers, timer and instructions.